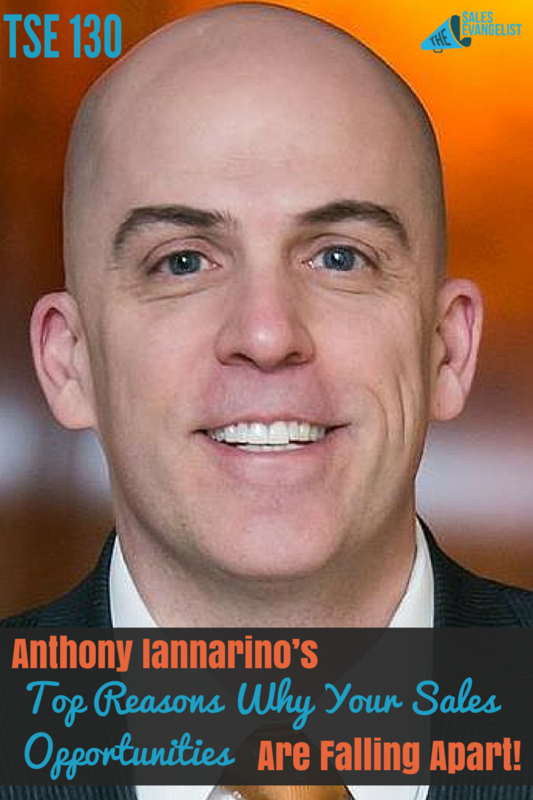 TSE 130: Anthony Iannarino’s Top Reasons Why Your Sales Opportunities Are Falling Apart! Home » TSE Podcast Post Page » TSE 130: Anthony Iannarino’s Top Reasons Why Your Sales Opportunities Are Falling Apart! Are you absolutely sure that you’re not doing things to cripple your sales and goals in the end? 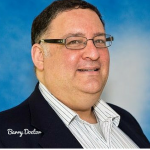 Our guest today will shed light on the 10 Mistakes that Kill Sales Opportunities. I’m bringing in Anthony Iannarino, the mastermind behind thesalesblog.com. His daily blog is dedicated to provide salespeople with the much-needed practical tips and insights every salesperson should know in order to help advance a career in sales. Anthony is an entrepreneur, writer, speaker, coach, and sales leader. Today, we will dive deep into a blog post Anthony has written back in 2014 about the 10 Mistakes that Kill Sales Opportunities. Due to time constraint, we can’t discuss each one of them but we will delve into the most important ones. If you can’t find or create a compelling reason for your prospective client to change, you aren’t going to make a sale. No deal. You have a great product? Great! But until you get the customer to agree that they’re unhappy in their current state, they’re not going to move forward with you because they’re not yet compelled to do that. They have to recognize it personally, but you can nudge them along the path so they can recognize it. 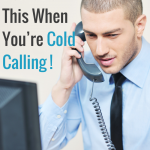 If you’re a transactional salesperson, you need to ask and continue to ask. You can’t ask for the close because you haven’t earned the right to ask for the close. How to earn the right to ask for a close? You’re going to execute on whatever is sold to you. If that’s where your heart is, if you’re really about creating value and you know you’re the one that can do that for them, you’re obligated to keep on trying to help them. Don’t try to make up something compelling. Find out what’s already compelling. What’s the real strategic objective? What’s the real outcome that they need? How does what I do, in a way, help them get to that outcome? Put the relationship ABOVE the transaction. Listen and understand your customer’s needs. They don’t know they need it. Sometimes stakeholders don’t want to give up the power. Some salespeople just have trouble giving that commitment. Politics as an important part, acknowledging the threat, and dealing with it together. Scroll down in his site and sign up to get each post in your email everyday. Put the relationship above the transactions if you want to have lifetime relationships, if you want to be a trusted adviser, and if you want to stake out that position where you own all the opportunities. If you put the transaction above the relationship, just being transactional makes you transactional. Your customer is going to treat you that way too because you set the standard. I appreciate that Judy Garmaise was mentioned in this podcast regarding Follow Up. Her book The Power of Follow Up is really good. I suggest it. Thanks, Todd! We really appreciate that. By the way, great episode with Donald and Jim the other day. Keep doing big things!